Dana White does not think UFC welterweight champion Tyron Woodley wants or will be ready to return at UFC 233 on January 26th, Woodley disagrees entirely. “I’ve agreed to fight Colby. I’ve agreed to fight really anybody – that’s the funny part,” Woodley said of his willingness to return. “I just asked for a little more time before I can confirm [my hand is good to go]. I’ve never said no to January 26. Let’s get that on record. I actually want to fight in Anaheim. 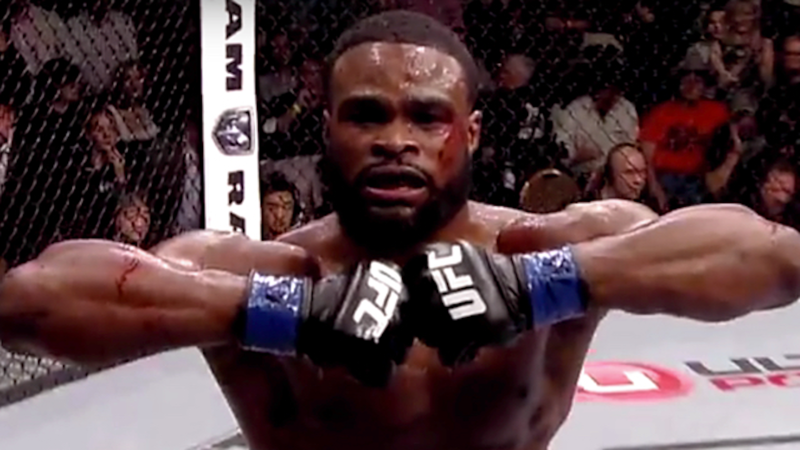 . .
With four title defenses in two years, Woodley has been one of the most active champions in the organization, but has had numerous injuries sit him on the sidelines. While Woodley is chomping at the bit to return, he’d rather not cost himself a championship and a legacy by returning early.